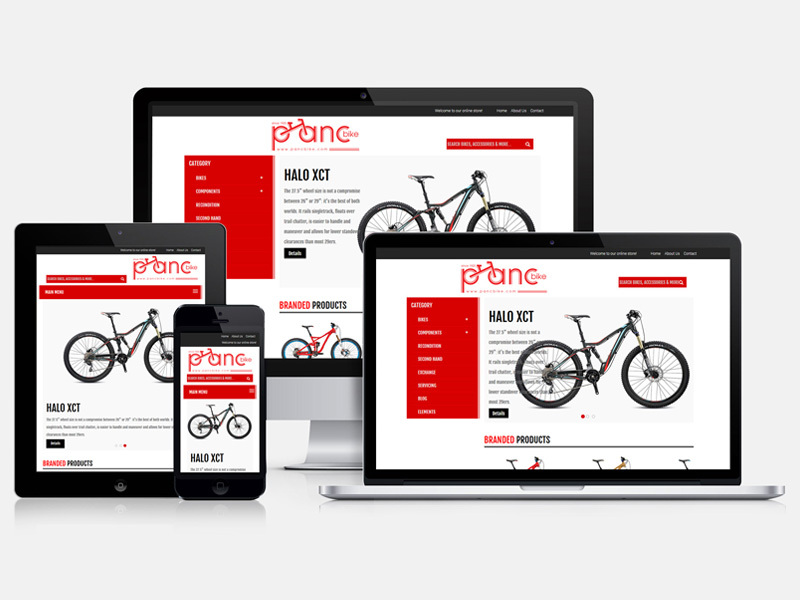 Built an Interactive Design for Panc Bike to Boost Their ROI by 45% | Pebble Infotech Pvt. Ltd. Client: Our client is a leading bicycle wholesaler based in Kathmandu, Nepal. Over the years, the company has built its reputation by supplying high-quality bicycles to both locals and tourists. Challenge: Our client has three physical stores inside Kathmandu Valley and the company is doing well in terms of sales. On the counter side, their online store was only doing so much of business and was unable to deliver the results the brand thought was possible. Their online sales level was declining day by day, and they were looking for an eligible IT company to set things right. They selected Pebble InfoTech for the job. Before we plunged into the details, we analyzed their previous site. It was a basic WordPress site, there were fewer design elements and the site was not optimized for mobile devices. Also, the site took more than five seconds to load and the important contents were not visible on their home page. Instantly, we figured out this was the issue that was causing headache and was preventing their visitors from purchasing their products. Solution: We modified their site’s layout and integrated new and innovative elements to create an initial mock-up design. The result was quite satisfactory; our client approved the design and told us to move ahead with the project. After completing the design part, we replaced their old images with new and optimized images. When designing a site, always optimize the images and reduce their sizes, remember – heavy images can increase the load time of your page and might create hassles for your visitors. Then we sliced the mock-up design using Adobe Dreamweaver. We perform few tests to check browser compatibility and optimized the site for mobile devices. Our hard work did pay off, the load-time of the site reduced to 2.23 seconds and the site operated fluently on multiple mobile screens with different sizes and resolution. We integrated new and innovative design on their site. The load-time of the site reduced from 5 seconds to 2.23 seconds. We designed a responsive site which operated smoothly on multiple web browsing devices. We included compelling contents on their homepage which inspired their visitors to crawl deeper into other pages. Their online sales boosted by 43%.